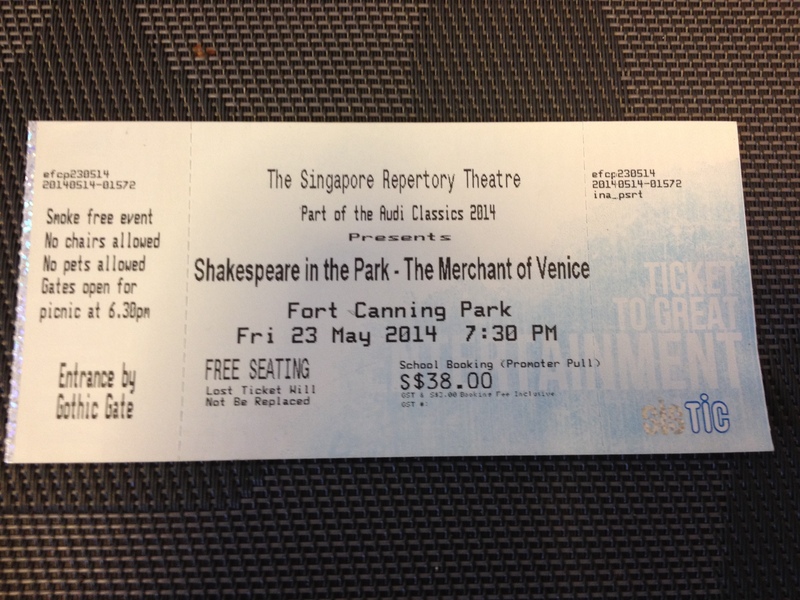 The other day I went to watch, ‘The Merchant of Venice’ presented by Singapore Repertory Theatre. It was extremely pleasant and amusing to watch, but not how I expected it to be. 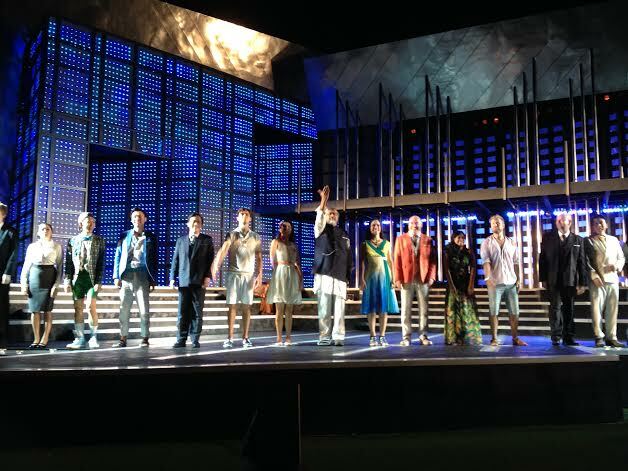 The play was set in the modern world with iPads and iPhones and with many lights which made the stage look like a city. Everyone was dressed in smart suits or elegant dresses. Everyone that is, other than the Jewish people, who were in Indian punjabi suits. Even though they did not change the script it is very clear the role of the Jew was represented by the Indian replacment. They did this to aid the Singapore audience in understanding the feeling of the minority in a country, i.e Jews in 1500s Caucasian Venice as opposed to Indians in Singapore. There were many Indian money lenders in the early days Singapore. The players, I think, were well chosen. Portia and Bassanio were fit and good looking which I thought was how the characters were suppose to be. Prince of Morocco, I found, was the only one who was different to my imagination. I imagined the Prince of Morrocco to be tall and charming in his own Morrocon way. Shylock’s performance did not seem as furious as he was in the written play. The famous speech on imbalance treatment of the Jew, ‘if you prick us, do we not bleed…’, somehow were lost among the love stories. Similarly, Portia’s famous speech about mercy, also, was lost among the kisses. The theme of the performance seem to be focused more on the romance, especially between Gratiano and Nerissa. I did not feel the intensity of the discrimination and revenge as I anticpated. The emotional outburst from Jessica at the end of the show was unexpected. It occurred to me that she must have been quite upset after she found out that her father had lost everything and maybe she was regretting running away with Lorenzo. Through this, it made me think that Shylock may not have been that bad as a father. Overall, it was done well. Although my bottom got very sore from sitting on the hill, it was entertaining. Ever more satisfying was that we get a Q&A sessions with few of the players. 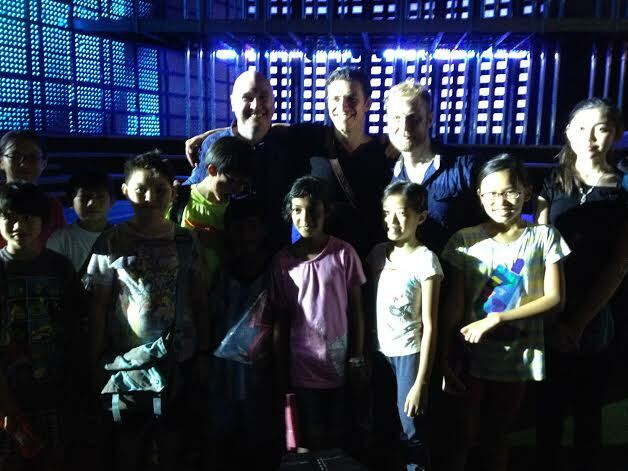 Picture of us with the actor. I am first from the right. In comparison to the same play I saw in Worcester in United Kingdom last October, both plays are at an equal. I understood the play more this time because I studied it. The Worcester Repertory Company made up for the lack of props and background by the performance of the players. The main difference between these two plays was that in Worcester the main focus was about the money lending and revenge whilst in the recent play, it was about the love stories. Programme for Worcester Repertory’s The Merchant of Venice. I think that both plays were done well and I like both of them immemsely. It is interesting how each company had protrayed the play in accordance to the culture of the audiences. We also did a workshop with a representative from Royal Shakespeare in regard to the Merchant of Venice. 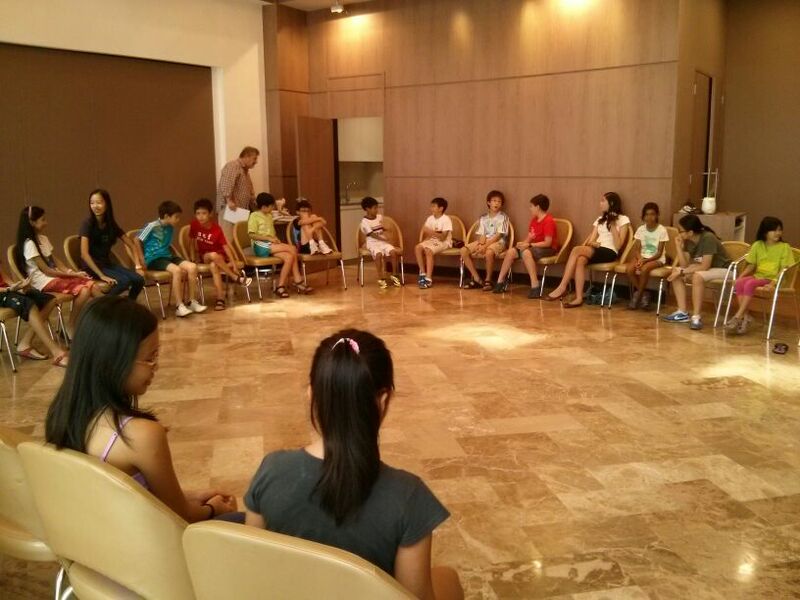 The workshop was full of different games to understand the story better. It was okay. I think it would be better if there were less children, or with children of the same age. Children ages ranged from 9 to 14 years old. The games were fun but I did not feel that I had contributed much due to the number of children.